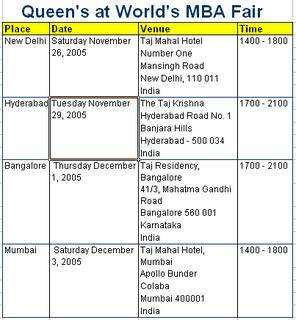 Queen's B school will be participating in the MBA World Fair. 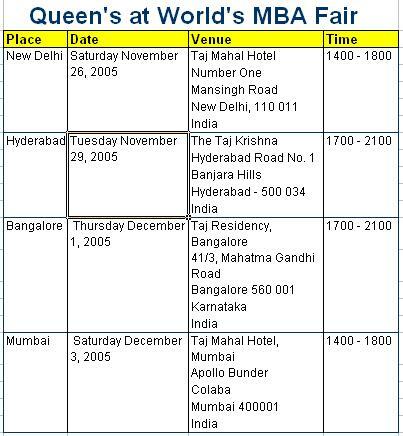 Given below are the dates for the India visit. The exhaustive list can be found here. Its been pretty good to watch all those efficient guides which are even said and considered to be important and in this regard student would be able to substantiate every possible guide which is said to be important for the future.